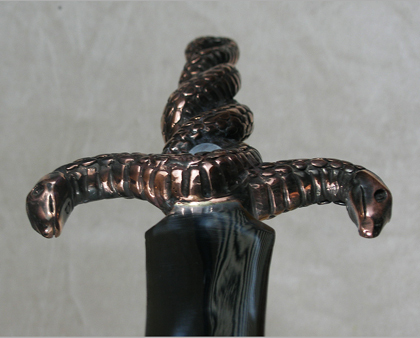 Twin snakes coiled together form a solid bronze handle. Plating and gemstones add extra. Leaf shaped carbon steel blade, mirror polished, Each knife is hand-made to your specifications, with many options available.